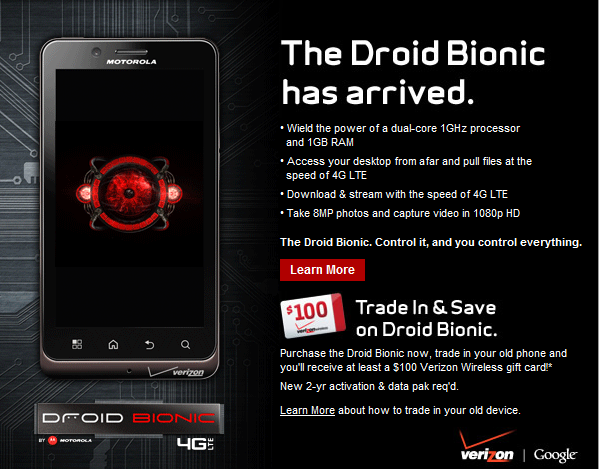 If you are looking to scoop up the DROID Bionic, now is the time. After seemingly the longest wait in Android history, you can now pick up the Bionic through the Verizon site and even Amazon. Through Verizon you can grab it for $299 with a new 2-year contract and a cool $589 if purchased contract free. Amazon has a nice deal going where it will only cost you $199 with a new two year or $249 with a renewal, but a whopping $699 if purchased with no plan. If you missed it, we went hands-on today for the first time since January, and this phone is a definite looker. See our first impressions here. Who’s picking one up tonight? Cheers Samuel, Gene, Dan and Jamie!